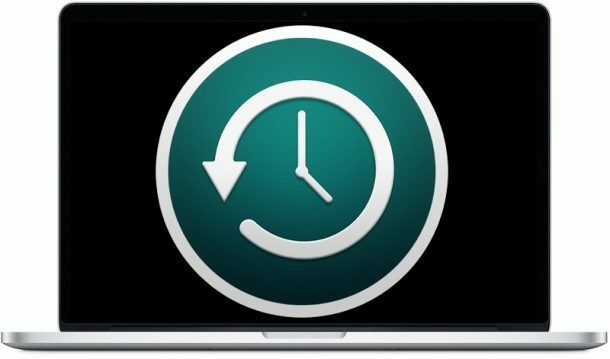 Some Mac users may wish to verify the integrity of their Time Machine backups before using a snapshot or backup to restore a Mac using Time Machine. This verification offers a simple way to know if the Time Machine backup data stored on an server or Time Capsule has been modified or corrupted, and can be a helpful troubleshooting trick for some situations. It may take a while to verify the backup, depending on the size of the backup itself as well as the speed of the Mac. Time Machine will verify the backup by comparing checksums, and it will alert the user if a problem or issue has been found. If the backup verifies fine, no issues will be reported. It’s possible the checksums will not match, indicating some sort of issue, corruption, or modification with the Time Machine backup, and Mac OS will offer instructions to attempt to correct the problem. It’s also possible the backup won’t have a valid checksum at all. You can verify either unencrypted and encrypted backups this way. While the Verify Time Machine backups feature has existed for a long time in Mac OS X and Mac OS, it’s important to note that only modern versions of Mac OS maintain a record of checksums associated with each backup snapshot, so if the backup was made prior to 10.12 or 10.11 it can not be verified by comparing the checksum this way. The tmutil verifychecksums approach offers the same functionality as the Time Machine menu option except via the command line. For those wondering, the Time Machine Verify feature works by computing the checksum of the backup and comparing it against a checksum generated at the time the backup was originally made from the Mac, similar to how an md5 hash or sha1 checksum is often used to manually check data integrity. Know of another way to verify Time Machine backups or another helpful use of this functionality? Let us know in the comments below. Logged in as a normal user, the verify backup is greyed out. I assume you must be logged in as admin to select this? I logged in as Admin and the Verify Backup is greyed out as well….that makes 2 of us, with the same experience. Nope. As admin the option is also greyed out. At first I thought it was because Time Machine was busy making a new backup, but when it finished, still greyed out. I’m running 10.12.4 & its still grayed out. Thought mine is latest – Mac OS Sierra 10.12.3. How did you get 10.12.4?? I don’t know if the verification also checks the host filesystem of the backups (be it hard disk or disk image on remote AFP/SMB volume), but I suppose this is what my Yosemite system is doing. I have three network backup targets (all Time Capsules, actually) and I find the verification process arduous when conducted through the GUI, which is my only option, as each target must be used at least once before being verified. So I often mount the disk images, and then verify them all from Terminal using diskutil directly. APFS can’t come quickly enough. Perhaps, when it does, we shall finally have a sensible backup strategy using streaming snapshot diffs rather than trying to synchronise filesystem objects. Unix users not using a COW filesystem and needing something like Time Machine should check out the wonderful “rsnapshot”. That is what I use on my NAS (a Mac Mini that runs Linux, in fact, because OS X Server is bloody useless as a file server). None of these suggestions will allow me to verify my TM hard drive. Verify remains grayed, unaccessible. I use macOS 10.12.3. Terminal reports no such command or file. Changed the name to my HD name in the command still nothing. If the verify backup is greyed out, you have your TM disk connected to your Mac directly and then it will not work. What´s described here works on network drives only. Step 1 specifically says networked volumes. You could hardly be described as literate. Use tmutil, you can also use tmutil compare. Tough to do any of your own research or thinking, I know! Read Step 1 again, smarta$$. It says “connected to the Mac as usual (network or otherwise)”. It does not say network only. I believe that “Verify Backups” is only available if the backup was originally created under OSX 10.11 or 10.12. My original was created under 10.9 or 10.10 so, no Verify Backups option. Am looking for a sane way to create a new original full Time Machine backup under 10.11 to solve the problem. Since most user may have a portable hard drive attached to the computer the “verification” will be grayed out. This verification process will only work with TM file that are NOT on a local hard drive. This will only work with TM files that are on a Apple Time Machine Capsule. …..or TM files which may be on a networked drive. It works for me when I verify the TM files from my networked attached drive. Ray gave the correct reply, only Backups using Time Capsule can be verified, not connected, they will be greyed out. To be nitpicky, it also works for backups made using Time Machine Server. I also had this same issue Kjell. Strange….. Excuse my misunderstanding anyone but would plugging my USB portable drive TM backup into another computer on my home network mean it would be verified? You can verify the disk and probably volume on another computer, but not the time machine backup itself. When I do that the “Verify Backups” is not highlighted, it is dim. After all that … I still do no know what to do. I am using a Seagate connected by a USB cable to my desktop as the Time Machine backup. On the Seagate label, among a lot of icons is a statement, “Backup for Mac Desktop Drive”. Verify Backups is greyed out. Any suggestions? Am I safe in trying Patrick Mele’s Terminal command? Advised verification done on a osMac Sierra networked disk backup, produced on December 9th. Verification was OK, but the system decided to make a new TM backup again. Two months of backups “down the drain” and 24 hours backupping again. Sierra, 10.12.3, not encrypted, the VerifyBackups is greyed out. The commandline works, takes a lot of time. I am not sure it repairs the faults that it encounters. I’d like to add that I turned off TM beforehand. So, how do I do it when its grey out? I am using a USB drive for my backup. Please repost how to verify backups on Time Machine – clearly the info in this post didn’t work and it is appropriate to verify backups. You can verify any backup with Time Machine, or you can verify Time Capsule, network, etc, backups with the menu item. Just tried this on OSX 10.11.6 and it worked a treat, verifying my latest backup to my time capsule. When it completed, the console log shows the following message text: “com.apple.backupd: Backup verification passed!”. When the “Verify Backups” is greyed out, it may be that you have the TimeMachine Backup disk excluded in Spotlight ?? Use the Terminal command then. “Verify Backps” greyed out: is the TM disk in Spotlight Privacy setting? I have both a Time Capsule, and an externally powered usb 3 HD, running 10.12.3, and mine is greyed out as well. Maybe it gets confused because of the two drives, but I would still like to be able to verify them both, somehow!